The 2017 Colorado EMS Awards were presented during EMSAC's Colorado State EMS Conference at Keystone, November 4. The awards are presented by EMSAC and the Emergency Medical and Trauma Services section of the Colorado Department of Public Health and Environment, and by Children's Hospital Colorado and Flight for Life Colorado. The award recognizes one person who, by outstanding actions and contributions to the advancement of excellence in the delivery of emergency care to the citizens of Colorado, represents the ideal EMS professional. Nicole LaGioia-Lewis began her career in EMS as a newly minted EMT for Pagosa Springs Medical Center EMS in 2012. She brought great enthusiasm, a positive attitude, and a strong sense of integrity which provided a strong base for her to succeed in her new career. Nicole has demonstrated great passion to continually enhance her patient care skills and asks her partners and medical director to critique calls for areas of improvement. 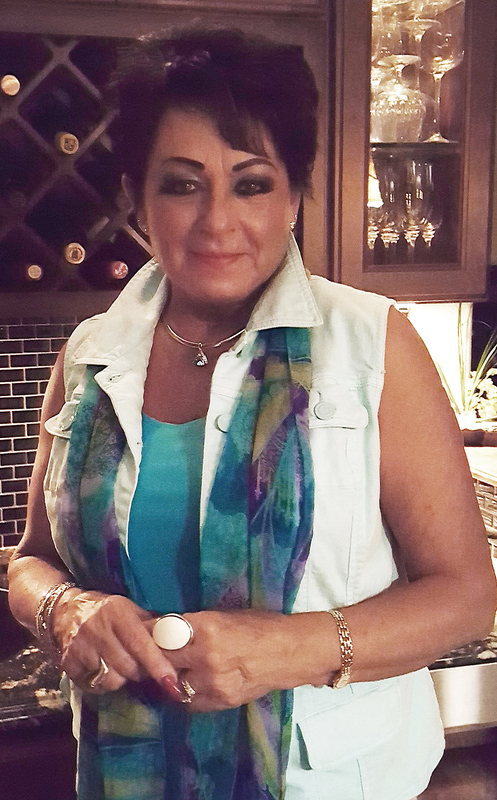 She works diligently to improve her knowledge so she can provide the most appropriate assistance to her ALS partner. Establishment of the Heart Safe program, “Anyone Can Save a Life”, in the high school. This includes training of faculty, staff, and select students to form 911 teams for the school’s various activities which take place outside of the school. CPR education of nearly 2000 people in law enforcement and the community. This further included procurement and placement of over 30 AEDs in strategic locations within the community. Dr. Michelle Flemings attributes at least 4 patients with the return of spontaneous circulation due to the training and placement of AEDs. The CPR classes have included the general public, first responders, private organizations, schools, health care providers, and daycare providers. Deployment of numerous efforts to increase public awareness of the ambulance service and its value to the community. This includes education at public events, in daycares, at schools, and other locations. This award recognizes someone who, by outstanding actions and contributions to the advancement of excellence in the delivery of emergency care to the citizens of Colorado, represents the ideal EMT. Ernest Abeyta has been in EMS for more than10 years getting his start with an EMT class at Centauri High School in LaJara, Colorado. Ernest saw the benefit of ALS emergency care and achieved his EMT-Intermediate after two years as an EMT. Paramedic education came a six years later as Ernest continued to expand his skills to deliver the best emergency medical care he was able to provide. Ernest set goals as a young man to help his neighbors and community. He recognized that emergency service was the best way for him to achieve these goals. Ernest stated that he has had countless encounters with many wonderful people who needed his help the most and he was honored to respond. His most memorable moments include delivering a baby, reviving a victim of cardiac arrest, and rescuing his neighbor from a burning house. All three encounters provide him with the best incentive to continue his dedication to the community: all three patients are walking around today thanks in part to his skill and commitment. This award honors a dispatcher for outstanding effort in processing and dispatching a specific, or multiple, EMS call(s). 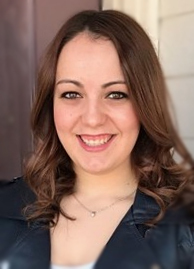 Ashley D’Amour began as a dispatcher for the Fountain Police Communication Center in 2014. The Fountain Communications Center and the El Paso County Communications Center merged in 2016 and Ashley’s dispatch family expanded. The patient was flown to Colorado Springs for surgery and spent three days in the ICU. The patient was discharged to psychiatric care after five days in the hospital. The nature of the injuries and the vast distances to definitive care made this outcome unlikely. Ashley D’Amour was the first, vital link in a chain that helped to save the patient’s life. Her work on this call is just one example of the care she provides daily to the citizens and visitors to her community. Ashley was recently accepted to the police academy so she will be taking her exceptional people skills to the street. This award honors a group or individual for outstanding achievement in developing an EMS system in a multiple county area or region of the state. As the Executive Director of the Mile High RETAC, Shirley Terry works tirelessly to support the agencies and facilities in her region. 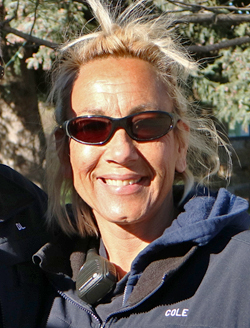 In addition to this, she also leads the Mile High RETAC to provide several statewide programs which benefit all EMS stakeholders across Colorado. The annual EMS Safety Summit has become a nationally recognized conference to promote provider, public, and patient safety in the prehospital environment. It is supported by several national organizations and has attendance from across the state, nation, and even internationally. The annual Medical Legal Forum brings nationally recognized speakers to the state. It is a great opportunity to learn about human resources, CMS rules, and other pertinent information to assist the ambulance service director. The quarterly RETAC Forum brings together all eleven RETAC staff and the state staff to coordinate programs across Colorado. The Mile High RETAC also sponsors an annual golf tournament to raise funds for public placement of AEDs across the region. Shirley Terry leads each of these programs by writing grants, recruiting vendors and speakers, and organizing the events for the benefit of all attendees. Anyone who has attended one of these events recognizes Shirley classic touch from the flowers and plentiful food available for all. Her efforts support EMS programs across the state with education which helps to improve the EMS system for all citizens. This award honors an outstanding instructor of an approved training program for EMTs or paramedics. 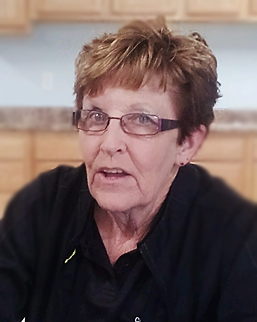 Marilynne Jones joined Community Ambulance Service in 1983 as an EMT volunteer. She earned her EMT-Intermediate and maintained that for six years. In 2000, Marilynne became a primary instructor and began a 17 year stretch of providing at least one class per year to her frontier community. With an average of 6-10 students per class, that’s more than 150 new volunteers in a very small community. The letters of support for Marilynne came from past students who are now leaders within their services. One letter stated that Marilynne not only teaches the basics of EMS but she teaches how to be a leader. Her students come from not only her service area but from surrounding communities. The director of one service states “Her students are ready when the class is over. That helps because we have limited volunteers and need them to hit the ground running." Another letter states that “Marilynne drives home the point of being the patient’s advocate. This shows the passion that she has for her patients and her students.” Marilynne was awarded the Plains to Peaks RETAC EMS Instructor of the Year for 2017. She started another class this fall. EMSAC's president has wide latitude in selecting a person or organization that he/she feels deserves statewide recognition. 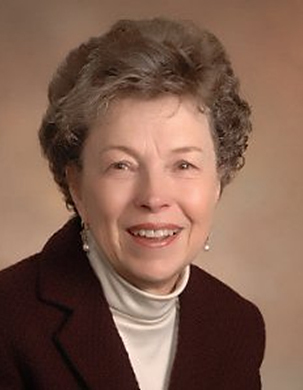 This year President Scott Sholes selected Patricia L. Tritt, RN, MA, our longest-standing conference committee volunteer. She is currently the Director of Instruction at American Medical Response, and is widely known as the former Director of EMS and Trauma for HealthONE in Denver, Colorado. In 1985, she organized the Mayflower Crisis Response Team, and has coordinated the Colorado Crisis Response Network since inception in 1988. She is an ICISF faculty member for the Group Crisis Intervention, Advanced Group Crisis Intervention, Assisting Individuals in Crisis, Strategic Response to Crisis and Grief Following Trauma courses. Pat has trained CISM teams across the United States, as well as internationally. She is a Certified Trauma Responder and a contributing author on stress and EMS issues for numerous emergency services texts. Pat has also received recognition from the State of Colorado for lifetime achievement and contributions to EMS and has received the 9 Who Care Award for her contributions as a leader of volunteer services in Colorado. This award honors an EMS executive who has become a leader in EMS and serves as a role model for EMS managers throughout the state. Scott Lenn began his EMS career in 1981 with A-1 Paramedics in Colorado Springs. Scott worked as a Supervisor of Communications, worked on the console as a dispatcher, and maintained radio and phone equipment. Scott then was promoted to Director of Communication for A-1 paramedics, where he was responsible for the communications department. Scott also was responsible for the installation of the first CAD/GPS tracking system in the State of Colorado for an ambulance service. In 1994 Scott became the Director of Communications/System Status Manager for AMR and was responsible for overseeing the daily operations of the communication center. 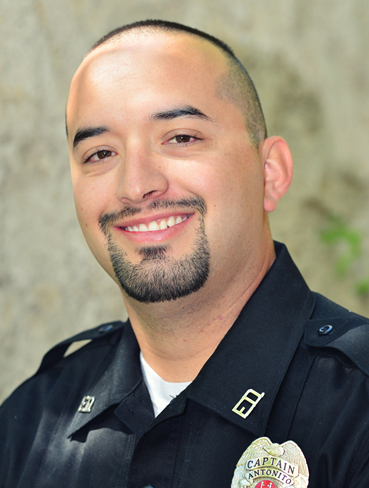 In 1995 Scott was the Assistant Director of Operations, in El Paso County. He was responsible for over-seeing the field supervisors, the communications center, response time compliance, and CAD system data. In 1996 Scott worked in Pueblo as an EMT on an ALS unit, transitioning to an FTO and then Supervisor. In March of 2001 Scott was promoted to Operations Manager of AMR Pueblo/Canon City. Scott continued his success as an EMS leader and was promoted in 2004 to Director of Operations for Southern/Western Colorado. Scott was now responsible for the overall operational needs to include budgeting, financials, purchasing, and customer service. Scott was responsible for more than 20 ambulances and 125 employees. In April of 2010 AMR saw the great leadership potential of Scott and promoted him to General Manager of Southern Colorado, Kansas and Independence MO. Scott was now responsible for over more than 100 ambulances and more than 400 employees. 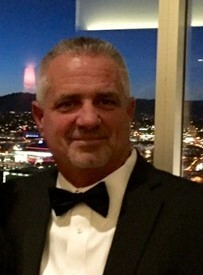 In November of 2015 Scott’s leadership ability was again recognized, and he was promoted to Regional Director for the South Region. Scott was responsible for the overall operations in Colorado, Kansas, Wyoming and Independence MO. Scott supported his local managers, oversaw and prepared budgets for all of his operations. Scott was responsible for new growth, contract management, union negotiations, and customer services. Scott is responsible for more than 300 ambulances and over 1100 employees. This award is a tribute to women in Colorado EMS and for those who have served their community and integrated safety prevention, education, and their love for the community in their lives. The Roth Award is for outstanding women who have helped carve out the history of Colorado EMS. Women who have made the difference through innovative contributions at a local, state, or national level. High-quality emergency medical services in the frontier areas of Colorado has to be a community effort with collaboration for education, equipment, communications, staffing and other essential items. Mary Jane Idler has been the driving force behind this collaboration in her community and across several counties in northeastern Colorado. Mary Jane started with South Y-W Ambulance service in 1980. 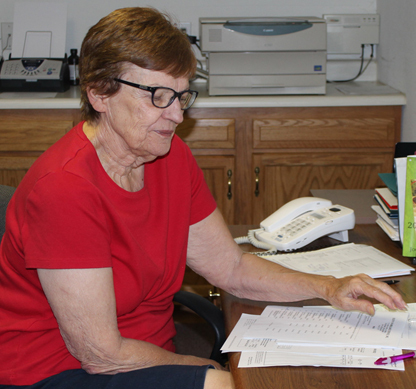 She also served for 12 years on the Washington-Yuma County 911 Authority Board. She was a driving force to create this model communication center for rural/frontier areas. Mary Jane has written numerous grants to support the ambulance service from uniforms to ambulances and facilities. Her passion for the ambulance service is demonstrated by her dedication for over 37 years of service. She has volunteered her time and effort to the ambulance service as well as other organizations within the community and demonstrated what community involvement truly means. This award honors an ambulance service which has become a leader in patient care, medical control, quality assurance, public education, public access and training/education. The Calhan Fire Department began serving their rural community in the mid 1950’s. Over the years they added ambulance transport and ALS service. They annually respond to 500 requests for service with a 100% volunteer staff along the busy Highway 24 corridor east of Colorado Springs. Comments from mutual aid partners note that the Calhan volunteers efficiently care for the routine traffic crash or medical call but they also take the next step to help their community. One elderly resident routinely requested assistance for non-acute problems. The department members recognized this person needed help beyond their scope and worked with local resources and out of state family to find a permanent solution to assist the patient. As this community has no hospital and is more than thirty minutes from Colorado Springs, cardiac care is one of the departments greatest challenges. In January 2017, a resident fell ill during a church service. The department quickly recognized the problem and initiated ALS care on scene and requested helicopter transport. The patient received excellent care from the initial incident through loading onto the flight and returned to the community with no deficits. This patients letter of support passionately expressed his respect and admiration for the volunteers with the Calhan Fire Department. This award from Children's Hospital Colorado recognizes a facility, local or regional EMS system for their prehospital or out of hospital care and transport of pediatric patients. 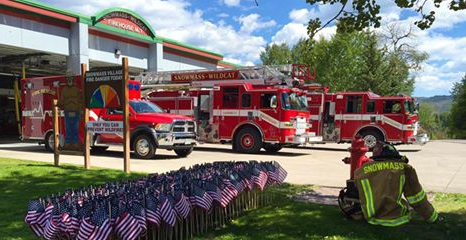 The Snowmass-Wildcat Fire Department is dedicated to providing the best possible care to the citizens and visitors of their district. This commitment includes additional training for pediatric patients. This focus and dedication to kids all came in handy this last August when they received a frantic 911 call from a 10-year-old stating that his older sister was having an allergic reaction. The 10-year-old brother was incredible and was able to retrieve and administer an Epi-Pen while waiting for the ambulance to arrive. The Snowmass-Wildcat crew was fortunate to have a double paramedic crew, Dan Burch and Mark Hutchinson, on duty that day along with Ben Mackoff who was doing his preceptorship with Mark. Paramedic Dave Klebes was off duty but heard the call and responded to help. Dan Burch was assigned the airway and was able to intubate despite the greatly swollen airway. Epinephrine was administered IM prior to intubation with an immediate follow up dose after intubation. Positive pressure ventilation produced no chest rise initially but proved successful as the patient began to turn pink. The extra crew was essential for the various ALS skills and the precarious transport down three flights of stairs. Ashli was rushed her to Aspen Valley Hospital where she was further stabilized and then flown to Children’s Hospital Colorado. The patient had a full recovery and walked out of the hospital a few days later. Pediatric calls make up a small portion of general 911 calls and yet they often illicit the highest stress levels. The Snowmass-Wildcat crew stayed incredibly calm, followed their protocols and provided the critical life saving measures that Ashli needed to survive her anaphylactic shock. The C.J. Shanaberger award recognizes someone whose contribution to prehospital care have been consistent and long-lasting representing, in effect, a lifetime of outstanding service to the profession and the public. The award memorializes of Carol J. Shanaberger, a paramedic and attorney-at-law, who worked for many years to improve EMS in Colorado and the nation. Rodney King has dedicated his life to serving his community in several capacities. He was a respected math and science teacher at Centauri High School for many years until his retirement in 2014. Rodney became an EMT in 1975 and began serving on the Conejos County Ambulance Service. He advanced in his training and became an EMT Intermediate in 1982 to provide a higher level of care. Rodney wrote grants, was a primary instructor of over 1000 students, and became the director of the service. He also was teaching EMT and EMT Intermediate classes at Trinidad State Junior College during this time. In 1995, Rodney was asked to become the emergency manager for Conejos County and he excelled at this position. He received the Colorado Emergency Management Association award in 2016 as the Emergency Manager of the Year. Rodney has been a resource for the San Luis Valley throughout the past 40 years of his service. He routinely “steps up” whenever help is needed in EMS, Emergency Management, or any other area. He has been a driving force behind Conejos County and was asked to help rebuild the Costilla County EMS program because of his experience. The C.J. Shanaberger award recognizes an individual whose contribution to prehospital care have been consistent and long-lasting representing, in effect, a lifetime of outstanding service to the profession and the public. Rodney King truly reflects the dedication of Carol J. Shanaberger who worked for many years to improve EMS in Colorado and the nation. 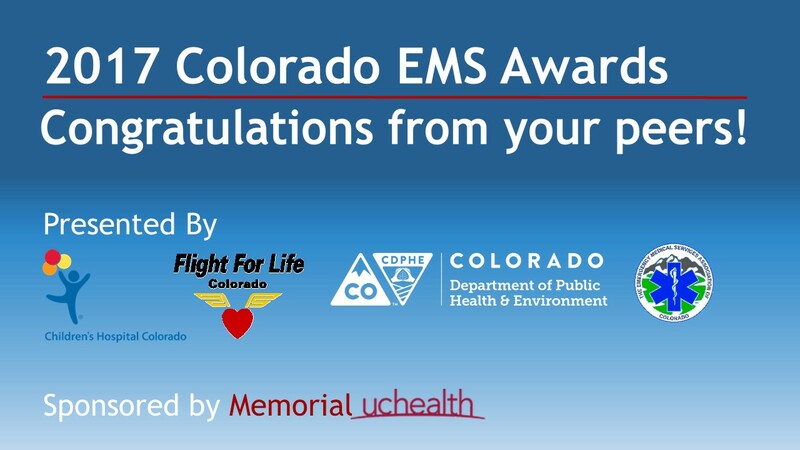 Flight for Life Colorado presents this award to an agency that has distinguished itself in its commitment to safety—that of its own staff, safety of its patients, or safety of the public. They recognize that getting information to people at the trailhead may be too late, vs providing that information “before they leave their house”. For working tirelessly to rescue those in need, and to reduce the risk for those who venture into the backcountry in Pitkin County, Flight For Life Colorado is delighted to present this year’s Excellence in Safety Award to Mountain Rescue Aspen. This award presentation recognizes that trained professionals cannot always be there in time for everyone. Untrained “civilians” frequently step forward without a second thought committing themselves to saving another human in peril. EMSAC wishes to recognize such civilians, who without training or regard for personal consequence, have shown unselfish personal valor by attempting the rescue whether friend or stranger. 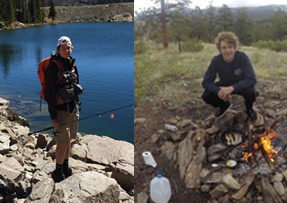 On May 28, 2017, 18-year-old John Glawe and three of his friends, Josh Thompson, Jordan Thompson, and Darian were visiting Jefferson Lake in Park County for a day of fishing. This is a beautiful high mountain lake that still had ice around its shores. John and his friends parked their car in the upper lot and proceeded to hike around the eastern portion of the lake. It was a clear, cool and very windy day. They had not seen any other hikers or fisherman on the lake until they rounded one of the coves on foot and saw two men in the water, approximately 50 feet from shore, clinging to an overturned inflatable boat. The men were wearing life jackets and trying to pull their boat to shore, but the high winds were keeping them from making progress. As John and his friends watched the two men, it became clear they were struggling. The younger man yelled to shore they needed help. The older man was not moving or communicating. John removed his shoes, socks, shirt and shorts and dove into the water to rescue the men. Both men were still clinging to the boat. The older man was semi-conscious and non-communicative and the younger man had lost his strength and was unable to pull the boat any further. John grabbed the older man by his life jacket and began pulling him and the boat to shore. The younger man who was still holding onto the boat was able to be pulled in as well. After reaching the shore, John and his friends pulled both men out of the water, removed their wet clothing and wrapped them in blankets. After several minutes, the older man started to regain consciousness. By this time, the park ranger booth attendant was making a pass through the parking lot and was waved down by John and his friends and was told to call 911. The EMTs arrived approximately 30 minutes later and took both men by boat to the boat ramp where the older man was loaded into a waiting ambulance. John Glawe is an avid outdoorsman and that passion helped the two men stranded on Jefferson Lake. 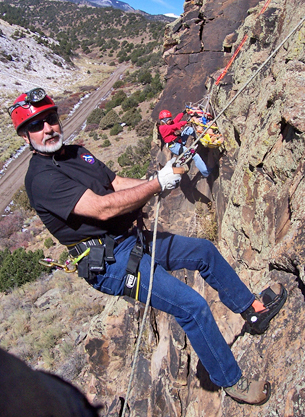 His love of hiking and the outdoors is further demonstrated by the fact that a generous reward provided by the rescued men was donated to Colorado Search and Rescue. John demonstrated the best of humanity by risking his own life to save the lives of others.